To paraphrase Willie Sutton, they build in China because that’s where the money is. Decades ago, China set up a Special Economic Zone in order to create its own Hawaii on the island of Hainan. The transformation of the tropical island off the southeast coast has been staggering. 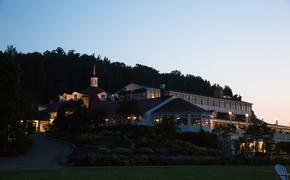 Starwood Hotels & Resorts’ plan to open four resorts there in the next five years says it all. In 2019 and 2020, Starwood will open China’s first W Retreat and its second St. Regis resort at Haitang Bay, an area of broad beaches about 20 miles from Sanya in an area where a national coastal wetland park and yacht club are in the planning. Starwood will also add two more St. Regis properties, one at Qingshui Bay. There are also plans for a Luxury Collection property. 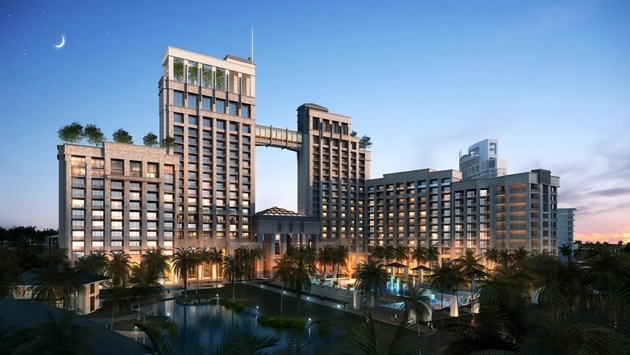 Starwood will debut its Westin brand in the city of Zhoushan in China’s Zhejiang province. The 263-room Westin Zhujiajian Resort overlooks the East China Sea from the Yangtze River delta region, which has seen a rise in both leisure and corporate travel. Starwood now operates 19 Westin hotels in China, with eight more in the pipeline. You can’t really call China’s fourth largest city, Chengdu, located out in the western province of Sichuan, an upstart. After all they just recently discovered a 600-year old distillery there, which is part of a new tour from Destination Asia. Later this year, Swire Hotels will open its third “house hotel,” the 100-room Temple House. Swire Hotels already operates The Opposite House in Beijing and The Upper House in Hong Kong. The Temple House will use bamboo frames and traditional stone steps to integrate into its location. The hotel hopes to appeal to long-stay guests, and includes laundry and kitchen facilities with living areas. Shandong Province juts out from northern China on its eponymous peninsula into the East China Sea. Hilton Hotels & Resorts recently opened its first property in the province with the Hilton Qingdao Golden Beach. Though the 431-room resort will be located on Golden Beach, with the scenic Laoshan Mountains behind it, the resort will offer easy access to Qingdao’s business district and will offer facilities for conferences, exhibitions or weddings. Carlson Rezidor is deeply invested in Chongqing with three existing properties as well as the coming Radisson Blu Resort Chongqing BeiBei. Chongqing, a Yangtze River hub, is also a major manufacturing and pharmaceutical center with such leisure assets as hot springs. Radisson Blu Resort Chongqing BeiBei is a 280-room, new-build hotel that will be part of a mixed development called Yishang Mountain Hot Spring Town, which includes a hot spring and spa, high-end residences and commercial space. In 2018, Fairmont Hotels & Resorts will open a new hotel in the old Song Dynasty silk, canal and garden town of Suzhou. Suzhou lies 70 miles east of Shanghai. The 390-room hotel will be part of a mixed-use development that will also include offices and retail outlets. “Fairmont Suzhou marks another key milestone for the Fairmont brand as we continue a steady and strategic pace of expansion into key Chinese markets,” said Jennifer Fox, president, FRHI international and president, Fairmont brand. “Not only is Suzhou one of the country's most popular travel destinations on a domestic level, it shows continued strong growth internationally and is increasingly attracting foreign investment. We look forward to providing a luxury base for those travelling to this vibrant city." Suzhou is home to eight UNESCO-listed Classical Gardens. Made up of eight of the finest gardens, out of more than 200 in the city, they span a period of almost 1,000 years. Other attractions include numerous pagodas, temples, historical districts and Tiger Hill, a popular tourist site which is said to resemble a crouching tiger. For Fairmont, the Suzhou property only adds to an already substantial presence in China with such properties as the Fairmont Beijing, Fairmont Peace Hotel in Shanghai, Kunshan's Fairmont Yangcheng Lake, and Fairmont Nanjing. They also have projects under development in Chengdu (2015), Changsha (2017), Hangzhou (2018), Taiyuan (2019) and Nanning (2019). The Rosewood Beijing will open in October as Rosewood’s first hotel in Asia, but not its last. The company has ambitious plans for Asia with seven properties in its Asian pipeline – all of which will open within three years. The 283-room Rosewood Beijing will use art from Beijing’s thriving modern art scene. The hotel will be located in the central business Chaoyang District, opposite the CCTV Tower. Xi’an, the capital of China’s classic Tang and 16 other dynasties as well as home of the Terracotta Warriors, will open the Angsana Xi’an Lintong in October. 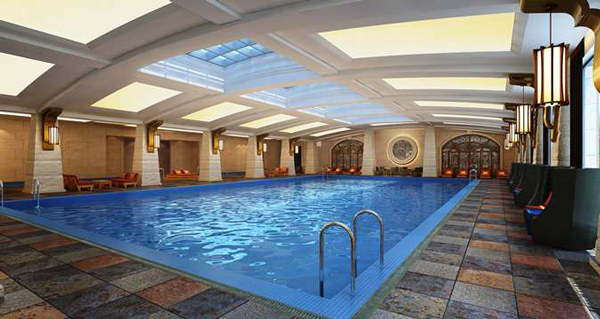 The design of the hot springs resort will evoke a Tang Dynasty court. The 403-room property features one-, two- and three-bedroom suites. The Angsana Hot Springs spa uses 25 outdoor hot springs, the debut of Spring Forest by Angsana – a holistic hydrothermal experience. There are also meeting facilities, seven restaurants and bars and a Kids Club for three to 10 year olds. The former colonial cities of Macau and Hong Kong are also enjoying the prospect of new properties. The Ovolo Southside converts a ware house on the south side of Hong Kong Island into a hotel, giving the company five hotels in the city. The area, formerly known for its car workshops and warehouses, is now home to a growing art scene that makes use of the heritage buildings, converting them into galleries and restaurants. Steel furniture and fittings accented by poured concrete floors with ceilings framing exposed pipes give the 162-room property its artsy industrial look. In 2017, the Lisboa Palace will open on Macau’s Cotai Strip with some 2,000 rooms and three hotels including The Lisboa Palace Hotel, Palazzo Versace Macau, and another fashion-branded luxury hotel yet to be announced.